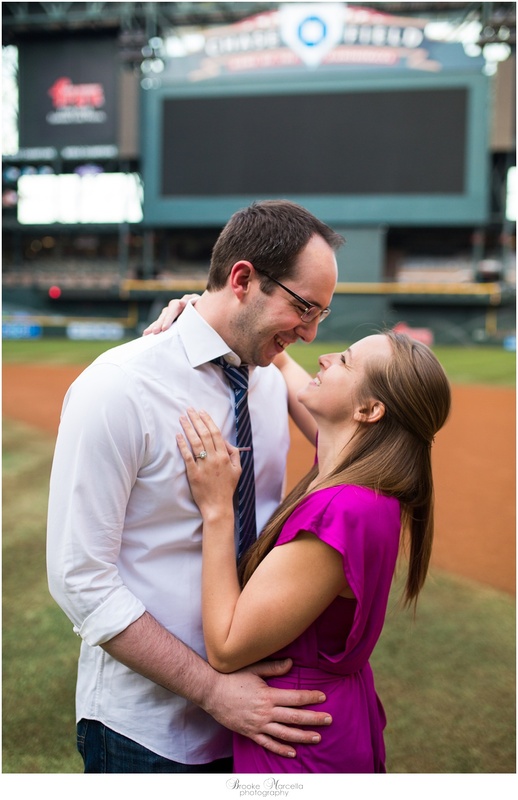 When you combine Papago Park & Baseball Engagement photo session you know it's going to be a good one! I worked with Jim at the D-backs throughout my internship last year and he is one of the funniest people I have even met! He always had the whole department laughing :) He actually proposed on the team trip to Australia...it was epic! Read more about it here. I was so excited when he asked me to do engagement photos of him and Monica and it was so good catching up with them. I was even more excited that they brought their dogs Comiskey (the most photogenic Golden Retriever ever!) and Wrigley (the biggest puppy ever! 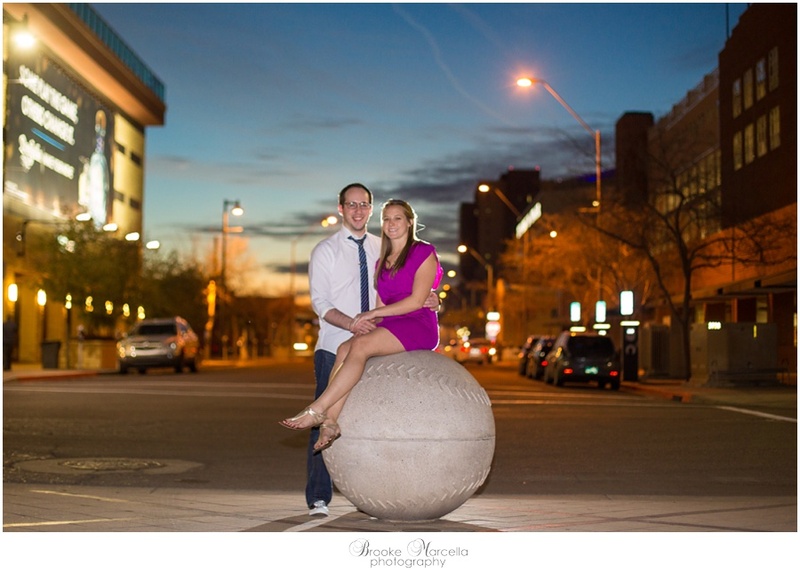 )...can you tell they are baseball fans ;) Since they are huge baseball fans and Jim works for the D-backs it was only appropriate that we did part of their session there, but part one started at Papago Park and it ended with a KILLER sunset! 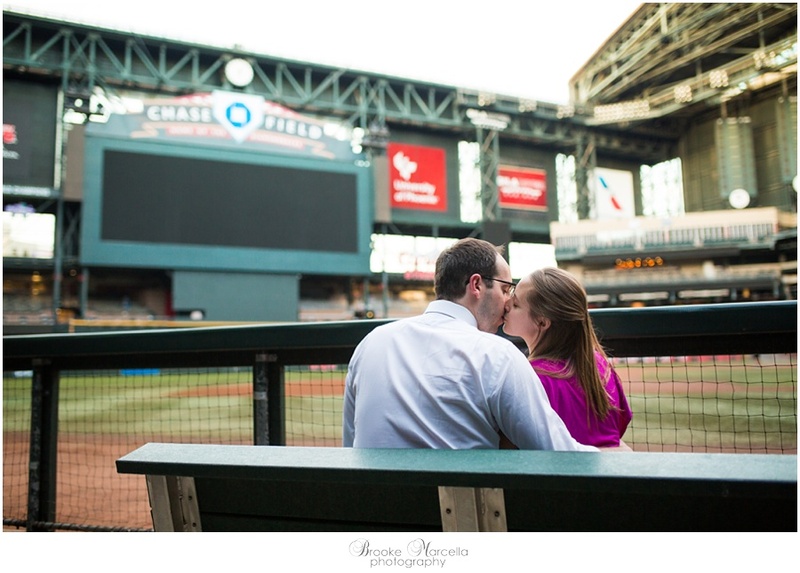 One of my many favorite things about Arizona :) We had part two at Chase Field and what is better than having the whole field to yourselves...let me tell you it's a baseball fan and photographers dream! Without further a due please enjoy some of my favs!